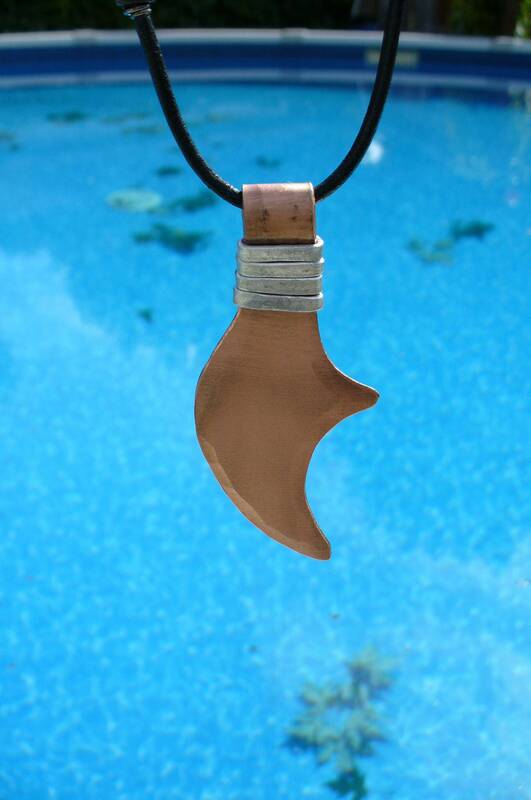 This pendant is an original design and was forged by a blacksmith. 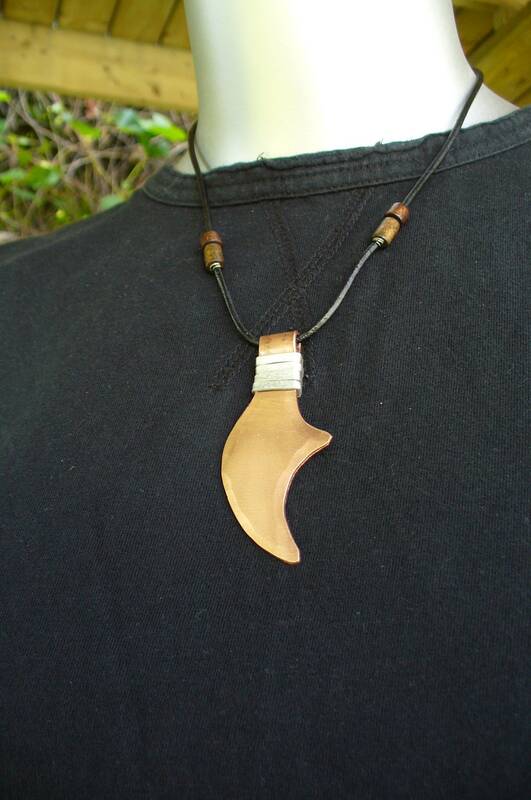 First, a smooth curved design was cut in thick copper, after giving it a hammered texture on the anvil, I formed a loop for the neckless to pass through. The loop is secured in place with aluminium wire that I've hammer textured also. 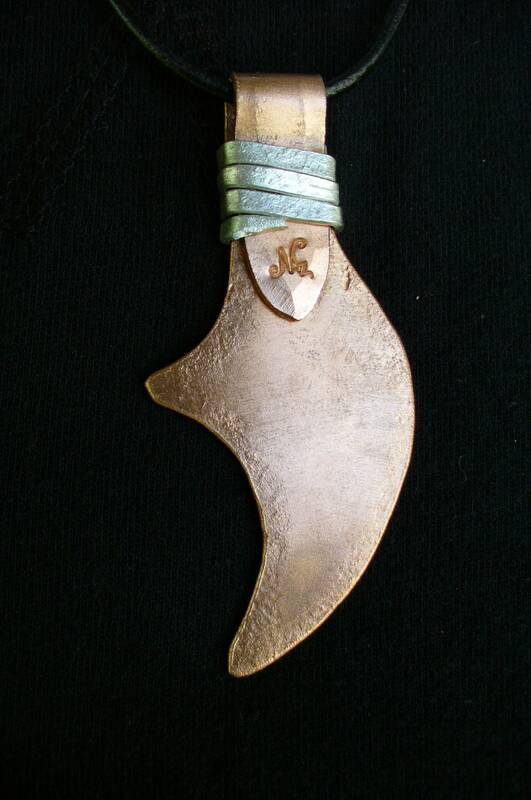 All my pendants are made in my Blacksmith shop with the same tools I use for all other forgings, the results are tough, ragged and real. I have added two wooden beads on each side for decoration. 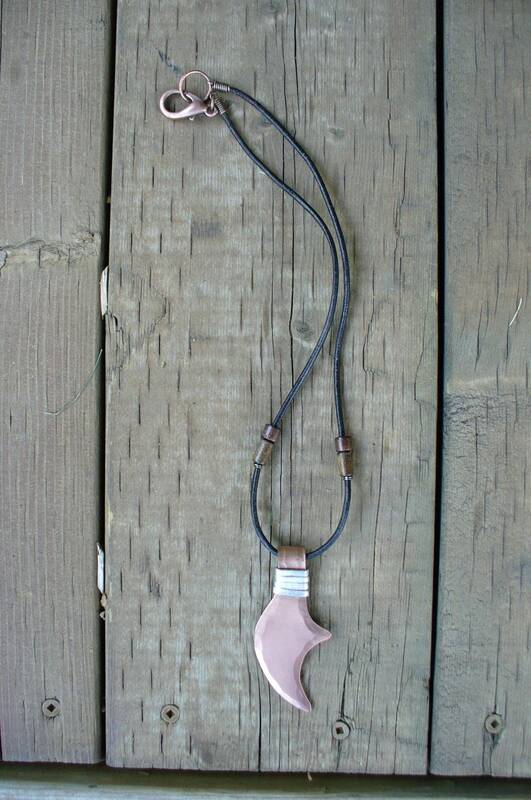 A large copper lobster claw clasp makes the attachment in the back. His or hers, if you like to be different, this one's for you ! 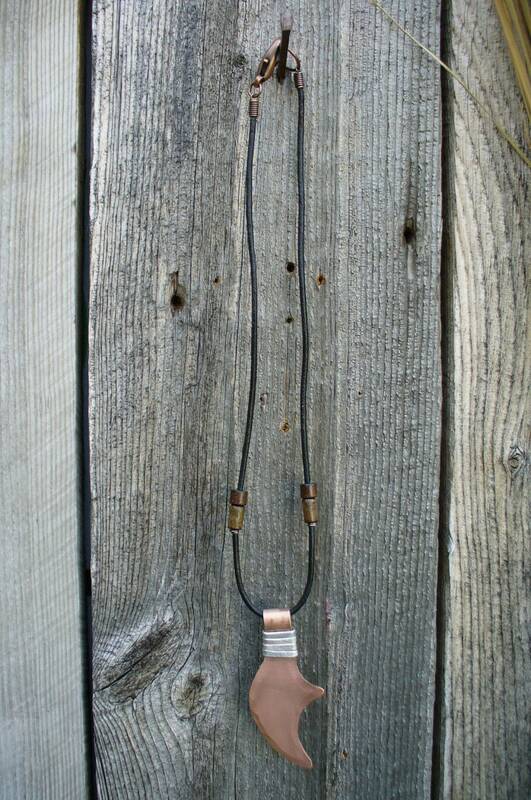 Measurements for the pendant are 3" high and 1 1/4" at it's largest. Surprisingly lightweight for it's size.